When Frank W. Benson returned from two years of study at the Academie Julian in Paris he hung out his shingle and began painting portraits as quickly as he could. 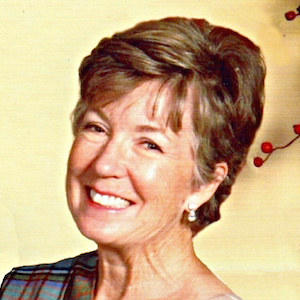 He’d just become engaged to a childhood friend, Ellen Peirson, and needed to prove to her widowed mother that he could support a wife and family. When commissions were slow in coming in, he painted his family members and hung the resulting portraits in art shows in Boston and New York. They attracted attention. Requests for portraits began to trickle in. He won an award in New York and the Board of Directors at the Museum School in Boston tapped their former student to be an instructor there. Within a year, he was head of the department of painting. Finally, with a steady salary, Benson could afford a large studio in the Harcourt Building in Boston. But he still could not afford professional models. His sisters, Elisabeth and Georgianna, often sat for him in paintings that were suffused by the light of a fire or the muted glow of an oil lamp. 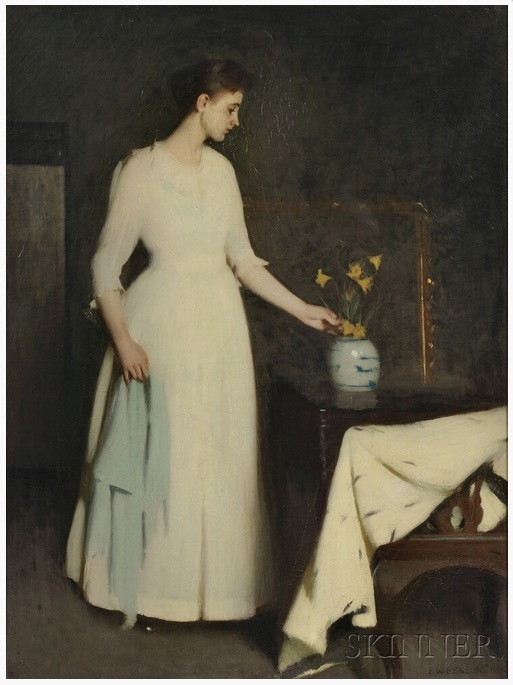 One of these paintings – the largest of three that Benson sent to the famed Columbian Exposition of 1893 – was of his sister, whom he called Georgie, clad in a white gown arranging daffodils in a blue Canton vase. The Chinese antique had undoubtedly been brought back from the Far East by his grandfather Captain Sam. Benson so loved this work that he kept it for himself. It hung in the dining room of his elegant Federal period home on Salem’s historic Chestnut Street. 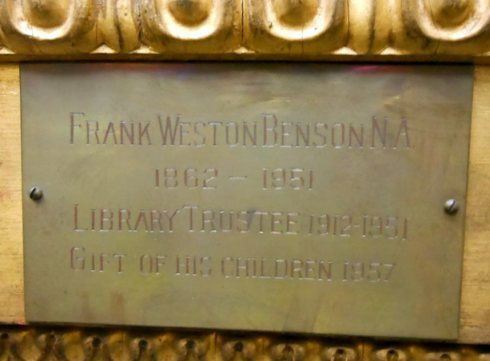 When he died, Benson’s family donated his portrait of Georgie to the Salem Public Library where his grandchildren had checked out books and where he had served for many years as a Trustee. For nearly fifty years the painting hung at the top of the Library’s stairs. However, as the price for Benson’s paintings enjoyed a meteoric rise, the Library’s Board became concerned for the safety of such a valuable work. It has been locked away for more than a decade. This winter, the Trustees decided that, if they could not display it for the public’s enjoyment, they should sell it at auction. They consigned it to Skinner’s in Boston. It did not sell. I’m not just sure quite why. The online description states that there are areas of cracked painting and that the work is dirty. Nothing that a bit of restoration and cleaning could not cure. The handsome gilded frame may well be the work of one of the famed Boston framers who later created made-to-order frames for some of Benson’s best known Impressionist works of his daughters in white dresses standing on a Maine hillside. What happens to a painting that does not sell at auction? Sometimes a collector approaches the auction house with a low, but ultimately acceptable bid. Occasionally a buyer will contact the original seller, especially when the seller’s identity is known (auction houses take great care to keep the names of sellers private). The painting may sit in the Library for awhile recovering from the trauma of being put up for sale and not finding a buyer. But I wonder – perhaps Benson might not mind that fact that his beloved older sister is able to remain in a building that was so loved by his children, grandchildren and great grandchildren. More local insight can be found on Streets of Salem.